Carlisle Interconnect Technologies (CarlisleIT) introduces Expanded Performance Contacts, SAE-AS39029/121 and /122. 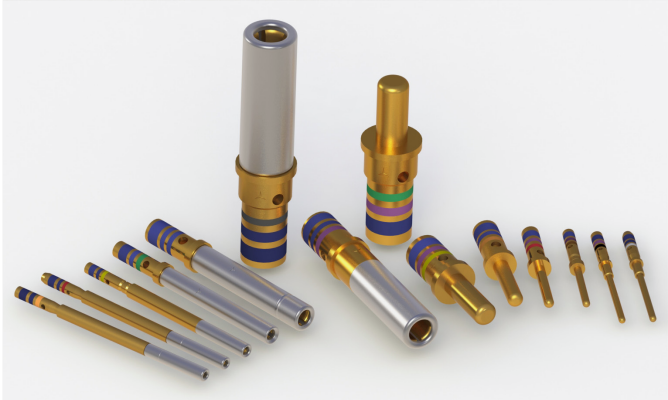 With improvements in temperature, vibration, and shock impact, the new contacts expanded performance can now align with the performance of the connectors D38999 Series III. We offer a wide range of contact sizes down to size 23 and wire gauges down to size 26 to truly provide you a one-stop shop experience. Expanded Performance Contacts are made to operate best in commercial and military aircraft applications. By covering the D38999 Connector Series III, it gives the convenience of utilizing the same connector as it is interchangeable with AS39029/56, /57 and /58 contacts.